India's First "Heliport" is Constructed in Delhi's Rohini. The Heliport, which will be the first of its kind in India. "Rohini Heliport" is located at Rohini, North west of New Delhi, India. Union Civil Aviation Minister Ashok Gajapathi Raju will inaugurate the new facility on February 28, 2017. About Pawan Hans "Rohini Heliport": The Heliport, owned by Pawan Hans Helicopters Ltd (PHHL), is the first of its kind in the country. The heliport is spread over 25 acres, a few kilometers away from the Rithala metro station. It consists of a terminal building having capacity of 150 passengers, four hangars with parking capacity of 16 helicopters and nine parking bays. It has been built at a cost of around Rs 98 crore. The facility has separate air traffic control (ATC), fire and fueling services. 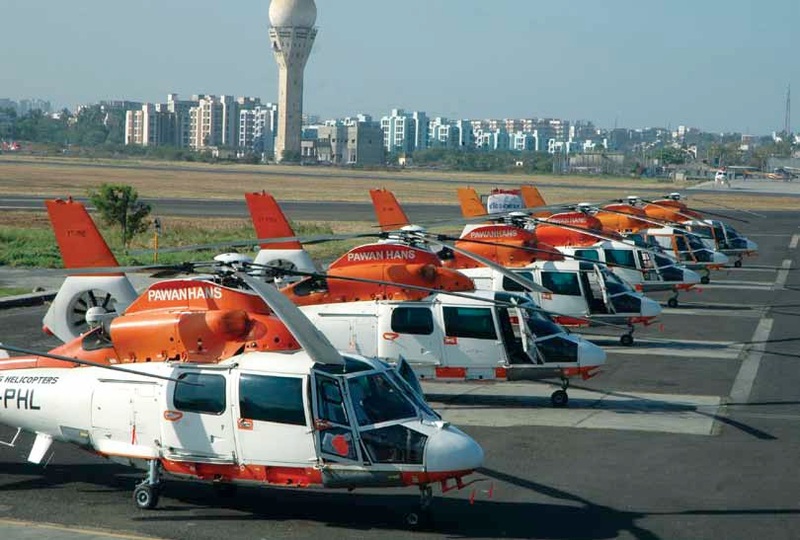 It is home to a Maintenance, Repair and Overhaul (MRO) facility to be used for the Pawan Hans fleet as well as for third-party maintenance work.The Heliport was proposed by the Civil Aviation Ministry and approved under the Master Plan of Delhi. The Environment Ministry accorded in-principle approval to the proposal in 2011.